"When 120,000 books fall, the book turns into the weapon! March 11, 2011. 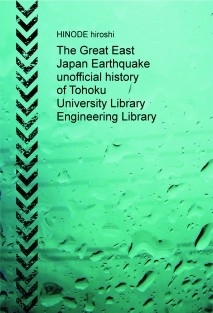 The Great East Japan Earthquake. The earthquake-stricken Library. The record on restoration/reconstruction for 1000 days.Even if we know the damage situation where many books fell at the library, little do we know what restoration was made.This is the realistic record in which the Tohoku University Library Engineering Library which suffered a great deal of damage carried out restoration and reconstruction.They were working as one, making the best use of inventiveness not to give the same damage in future."